Control Bhaji Control is a full on comedy Punjabi Movie starring Karan Kundra in Lead Role. Control Bhaji Control is directed by Gaurav Singh and Produced by Real World Entertainment. Control Bhaji Control is a full on comedy Punjabi Movie starring Karan Kundra in Lead Role. 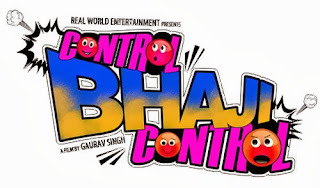 Control Bhaji Control is directed by Gaurav Singh and Produced by Real World Entertainment. Movie is set to be release on 22nd August 2014. Release Date: August 22nd, 2014. Star Cast: Karan Kundra, Sangram Singh, Nacchhattar Gill, BN Sharma, Upasna Singh, Simran, Sandeep, Harpal Singh, Savita Bhatti, Chandan Prabhakar, Rana Jung Bahadur And Others.